Welcome to our new series! Rachel & Steph are delighted to welcome Christine Walsh as their very first guest of Learn Smarter: the Educational Therapy podcast. Listen to how they coach Christine to some big “ah-ha” moments. They discuss Christine’s role as the executive functioning brain of her two adult children and help her create an action plan to guide them towards independence and autonomy. 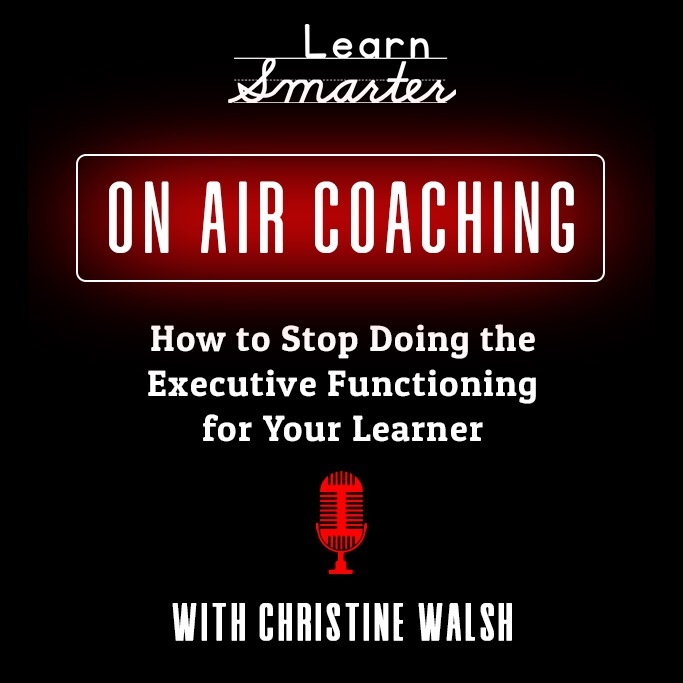 If you are interested in doing an on-air coaching call on the podcast–you can be an educational therapist or teacher or learner or parent–we would be excited to figure out if it would be a good fit for all of us. You can e-mail us at rachelandsteph@learnsmarterpodcast.com or even DM us on IG @learnsmarterpodcast.